“How can such small instruments possibly play so loud?” That’s what a member of the audience asked to BKO Quintet after their Huddersfield gig a few days ago. However, when the ‘small’ instruments are an amplified djeli n’goni and a donso n’goni, played by the educated fingertips of Abdoulaye Koné and Adama Coulibaly, the answer is straightforward because “that’s inevitable”. In fact, BKO represents a new perspective over Malian tradition and its music instruments. Since 2012, the quintet from Bamako has brought some noise and rock attitude to West African music. They play loud, electrified, and were the first and still are the only band to dare to mix the music of two centuries-old castes: griot (storytellers and musicians) and donso (hunters). The band is currently touring Europe, so we reached Aymeric Krol, founder member of BKO and percussionist of the band together with Ibrahim Sarr, during the UK leg of the tour, and investigate about the uniqueness of his project. “I come from France, I’m French, but it’s almost 15 years since I’ve lived between Mali and France. I met Ibrahim 15 years ago, when I’d been for my first time in Mali. He’s a really great master in percussions. Actually he is one of the most popular djembe players in Bamako. He already toured for five or six years with Oumou Sangaré, who is Mali’s great diva. Then, four years ago we decided to form this band called BKO. We asked Aymeric about the unconventional and intriguing idea to have two types of n’goni and two traditions playing together. “Hunters and griot are two very different castes in Mali. Also, the tunes they play are distinct. For example, griots sing about the name of their family, while hunters are not involved in this kind of thing. Then, there’s also the fact that hunters are usually Animists, so they can eat pork, for example; while many griots are Muslims. Anyway, before this project, I’ve never seen those two n’goni playing together. Actually, in Malian tradition, they don’t need to play together. As a matter of fact, traditional music has a well-defined function within the Malian society, so they never put those two strings side-by-side. We also wanted to know how the idea developed. Bamako is a constant with the project. 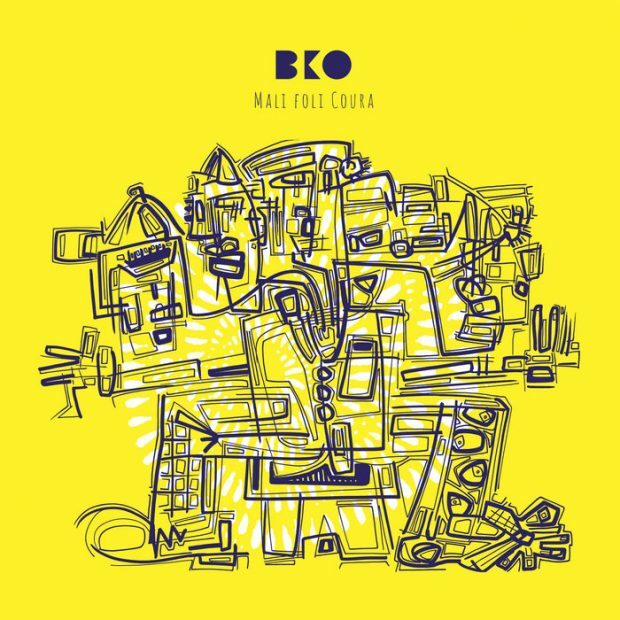 Not only is the band named after the Malian capital, but as Aymeric revealed, BKO could only take shape there. After a few terrible years, Mali is slowly recovering. Despite that the situation in the north of the country is still critical, the South looks forward to going back to normality, getting back its freedom and peace. We asked Aymeric about his feeling about the current situation of the West African country. As much as BKO music is well-rooted in Malian tradition, the musicians are also adapting it to appeal to a global audience. Their approach to the West African music is, as Aymeric told us, “traditional and innovative at the same time”. If the quintet perform all over the world, the reason has to be sought in their sound, which constantly attracts a new audience. “We have already recorded our second album. We did it between our tours and we’re going to release it next year, but we still need to find a label. I can say that it is more rock than the first one. First, because we’ve added the drum, while the first album was more about percussions. Then, we have also recorded it live, so the sound will be really intense. Finally, we have properly developed the sound of our band. So yes, I definitely think that our next album will be better than the first, because when we released the Bamako Today, BKO was still a young band. If 2016 let you discover BKO Quintet, 2017 will allow you to listen to and learn more about their music and intriguing project to connect two far-apart traditions.